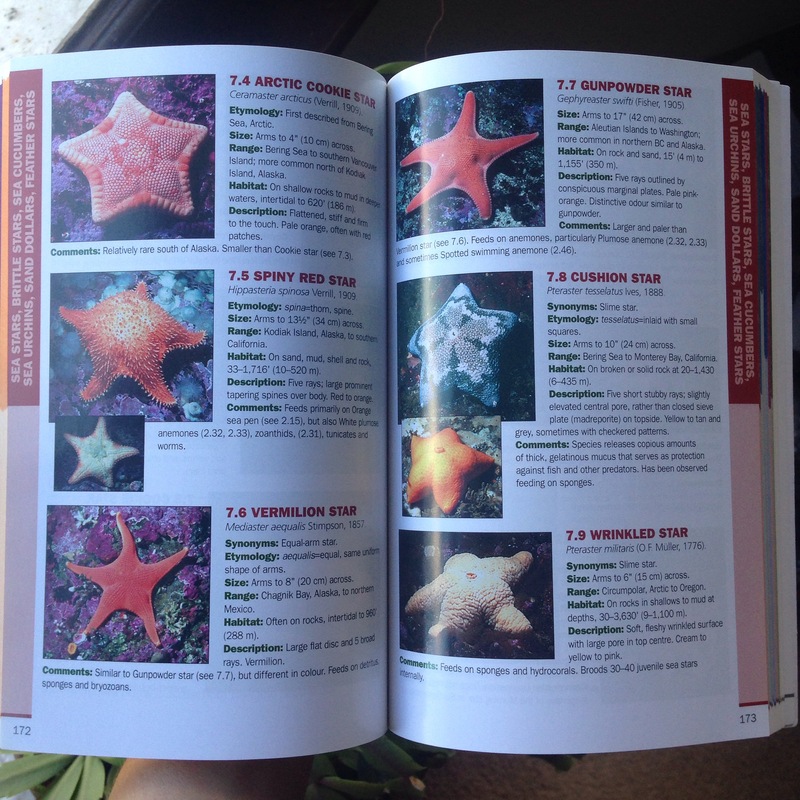 A picture (with description) guidebook to identify and learn about coastal marine life. The book includes sponges, sea anemones, jellyfish, worms, moss animals, crabs, shrimp, mussels, clams, octopus, squids, sea stars, sand dollars, fishes, marine mammals, seaweed and sea grasses, and much more! It is easy to use the table of contents to find which pages to look at for identification. And of course it covers the pacific northwest so it won’t have a lot of extra species we don’t have in Washington, making it easier to flip through. Each life form has a picture and some stats (size, where they live, a description, and more). There’s also an introduction about that section’s life form (like sponges in general) including how they get around, what they eat and what eats them (including humans, when appropriate), and how they pass on their genetics. 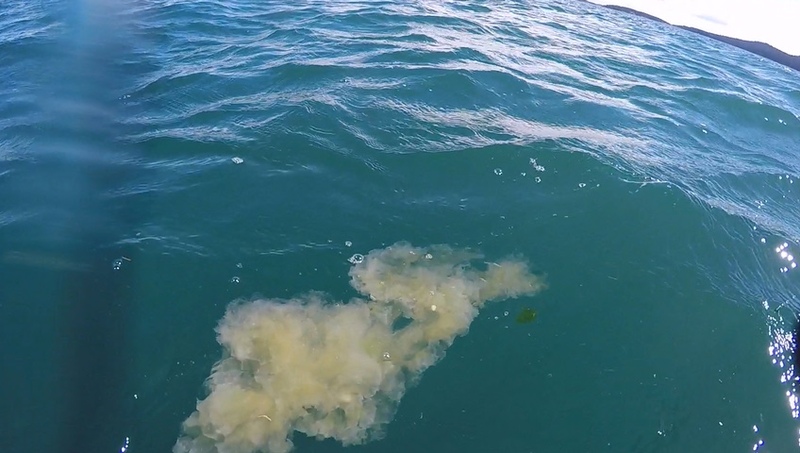 The pictures are full color and clear so you can use them for identification (and just to checkout what you might be in the water with). For large animals (like seals and whales) they have drawings of the full body since that’s hard to capture a clear picture of, and then some actual pictures of flukes etc. 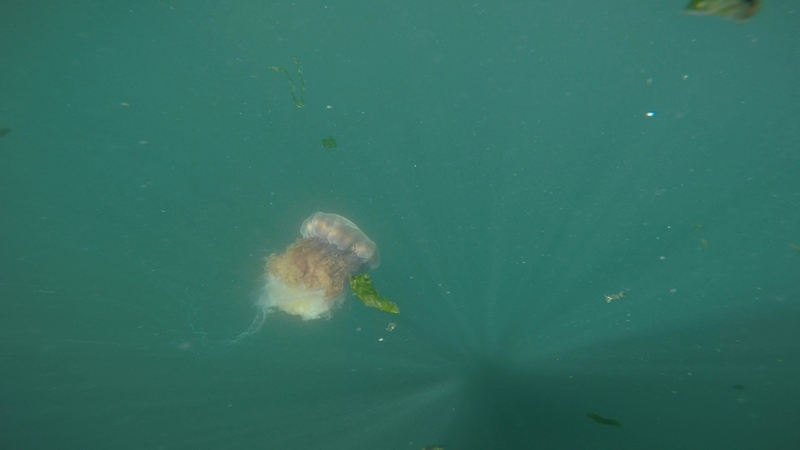 Using my pictures I can identify Lion’s Mane Jellyfish on the way to Blake Island and learned the “tentacles cause burning and blistering!” (p. 68). 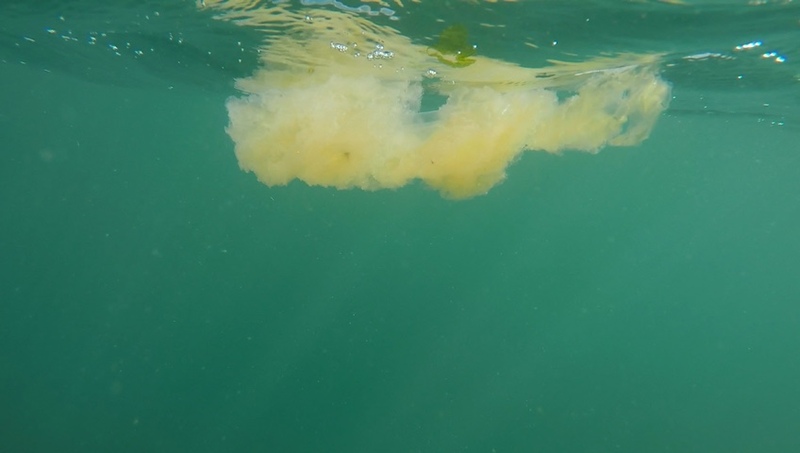 The kelp we saw frequently off San Juan Island is apparently called Bull Kelp (or bull whip kelp, which I can see why!) and it’s edible (p. 286) and the world’s longest marine plant (p. 7). 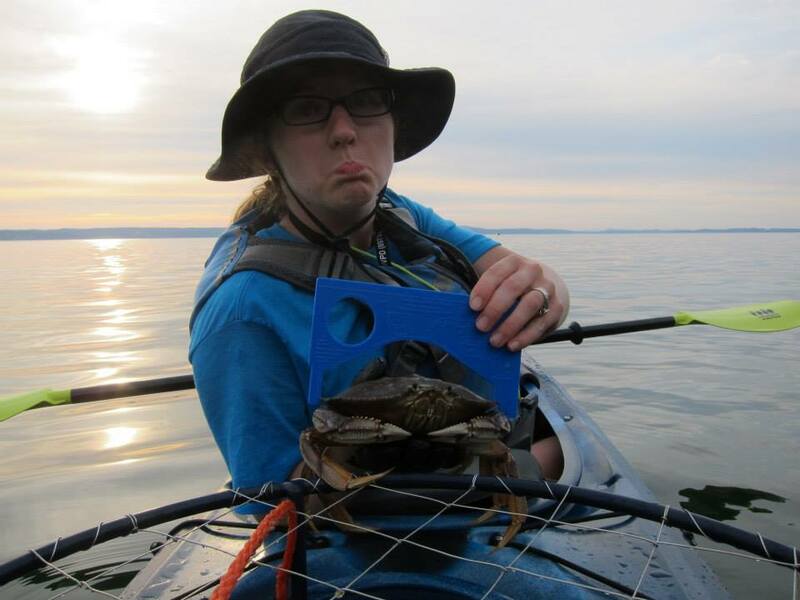 I also wouldn’t have been tricked (like I was when kayak crabbing) into thinking the Red Rock Crab was a Dungeness Crab and through the habitat description may have realized I was probably over gravel/rock instead of sand/mud (though it may have been eelgrass for both!). I didn’t really need it for whale watching this trip but they’ve got a helpful guide as well. 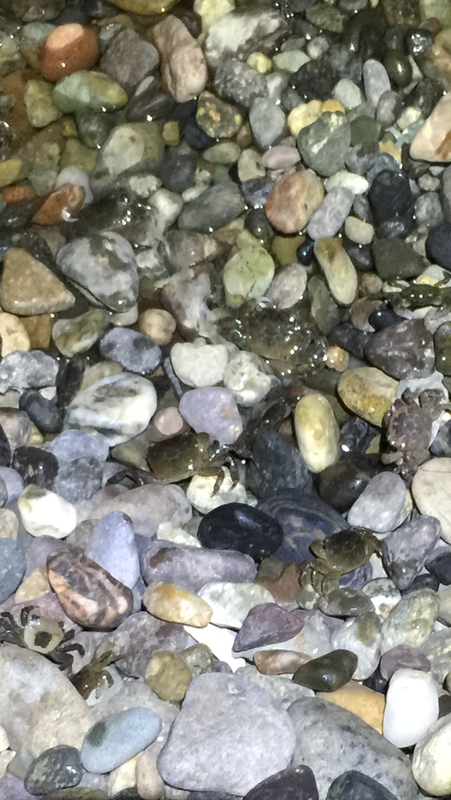 The only things I couldn’t identify was the very unformed jelly fish type creature from San Juan Island below and the baby crabs from Anderson Island in the rocks below (they don’t have any baby pics in here except of a seal and eggs) but at least I’d have the names to google to find the immature crabs. The blob will just have to remain a UFO (unidentified floating object). 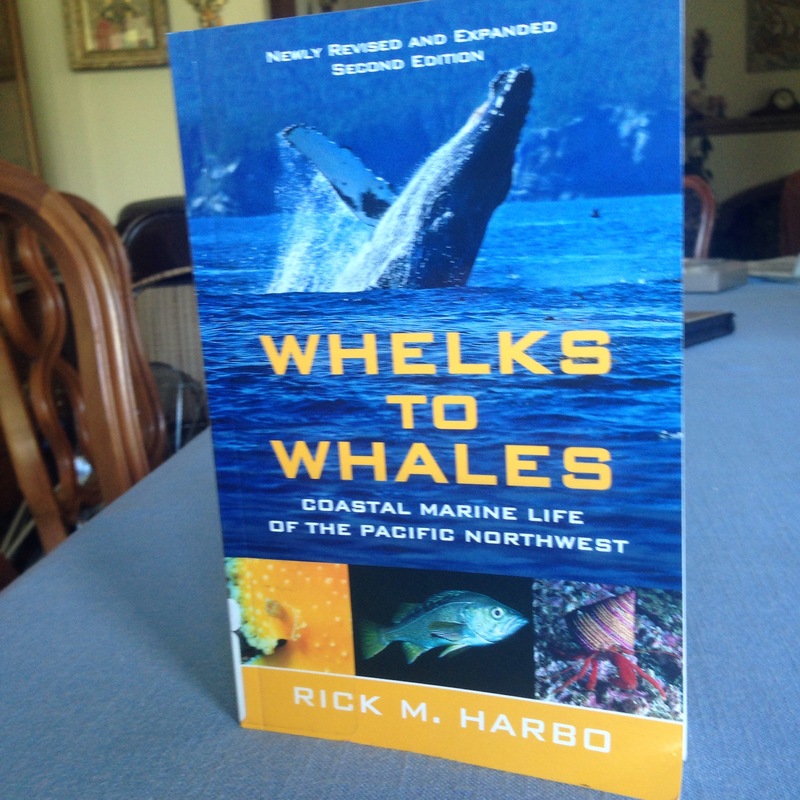 If you have any interest in learning more about marine life, buy this book. Congratulations! You’ve been nominated!! See my post for details! Wow, thank you so much! That is a truly unexpected and wonderful surprise to opening up my blog this morning!